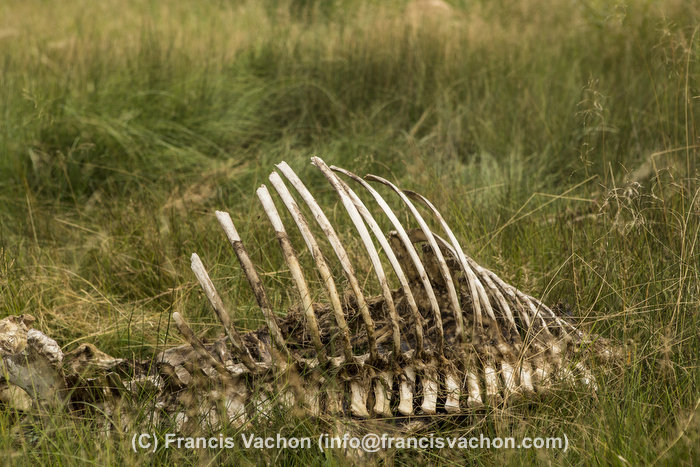 Nothing is more exotic for a French Canadian urban boy than to visit the Canadian Prairies. So vast, so flat, so different. Here is what I saw in Manitoba. 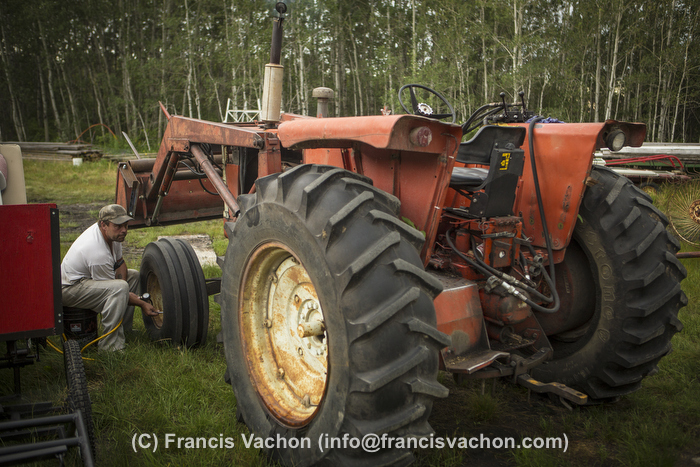 Yves Breton tends on his 1967 Cockshutt 1650 tractor in Saint-Laurent, Manitoba, Wednesday August 12, 2015. 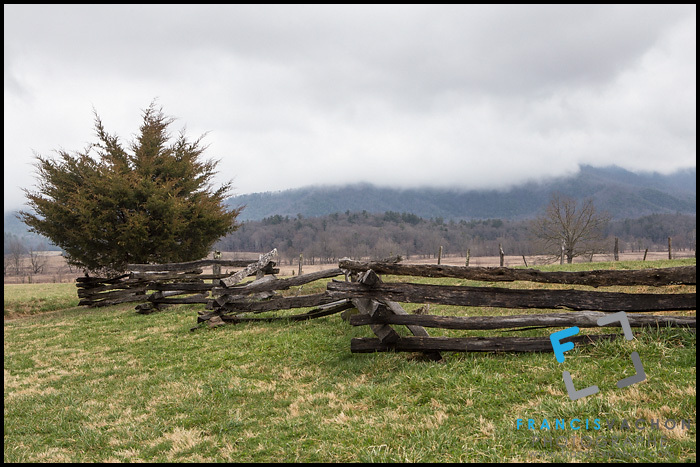 I visited recently Cades Cove and Elkmont Historic district of the Great Smoky Mountains National Park in Tennessee. I was a press trip and could not photographe during the best hours of the day, but I managed to get some interesting photos. Part of the « Appalachian Club, » near the former logging town of Elkmont, the Elkmont Historic District is not well known, even by the locals. 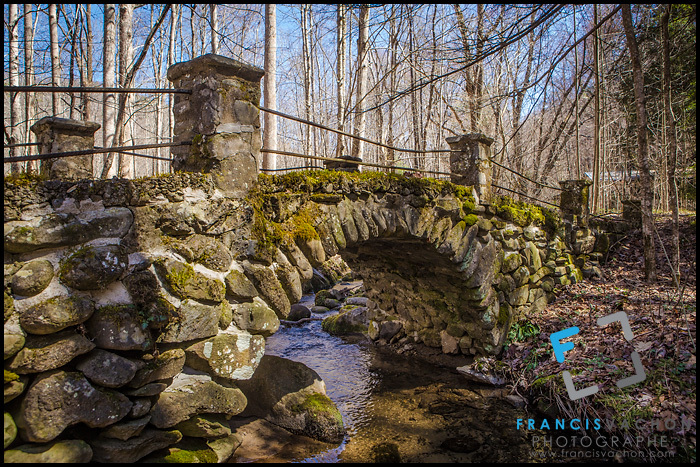 A stone bridge is pictured in the Millionaire’s row area of the Great Smoky Mountains National Park in Tennessee Thursday March 20, 2014. 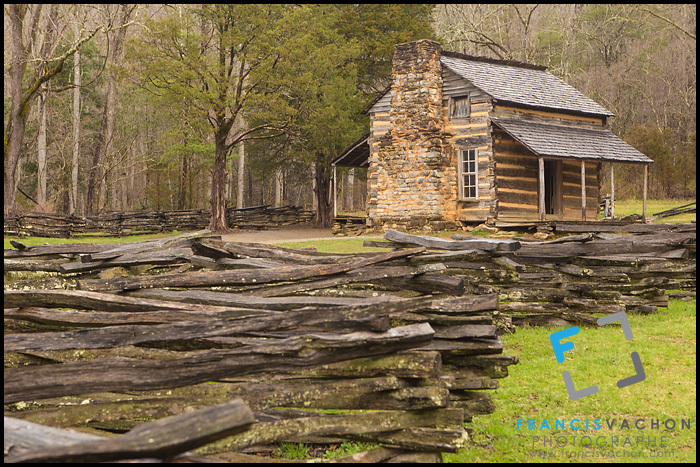 Great Smoky Mountains National Park is a United States National Park and UNESCO World Heritage Site that straddles the ridgeline of the Great Smoky Mountains, part of the Blue Ridge Mountains, which are a division of the larger Appalachian Mountain chain. Cades Cove is a broad valley surrounded by mountains. 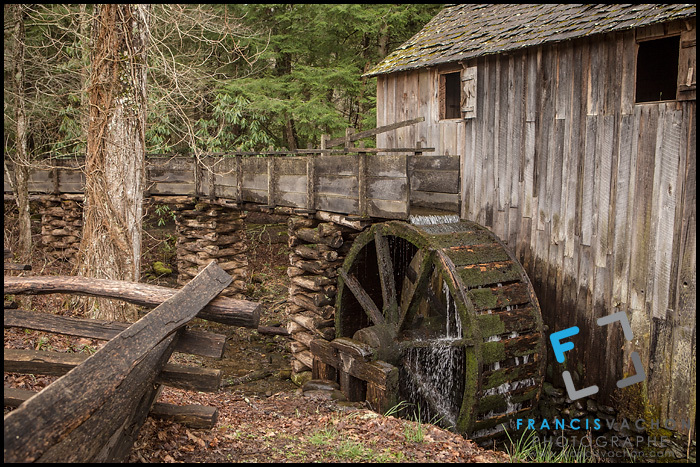 As you drive the 11-mile loop, you can stop and explore various historical buildings: churches, a working grist mill, barns and old cabins inhabited by the settlers before the creation of the park. 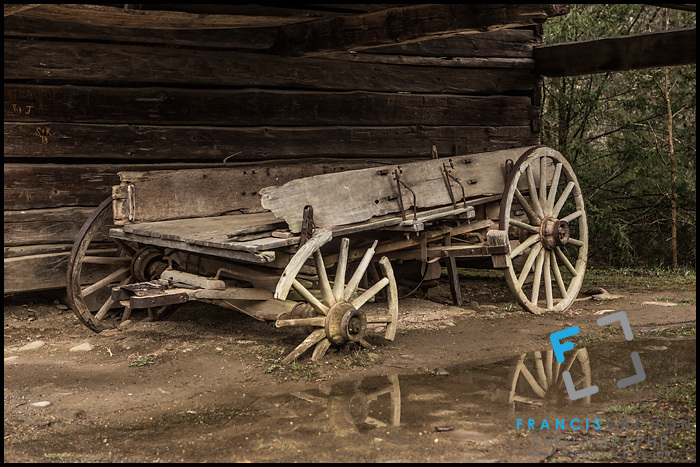 A horse wagon is pictured in Cades Cove. 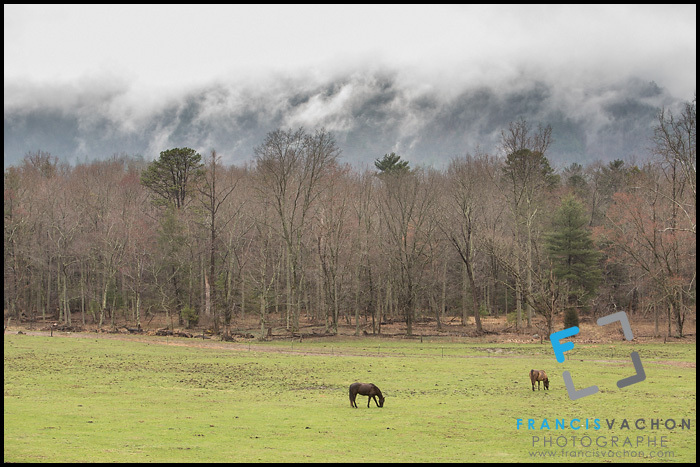 A general view of Cades Cove. 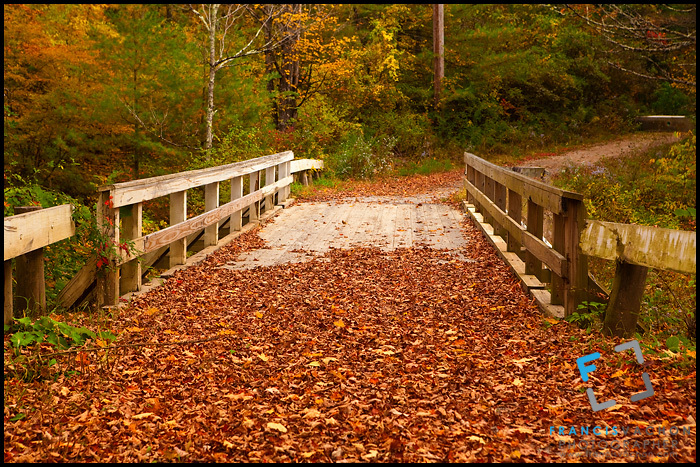 More stock photos of the Great Smoky Mountains National Park on my stock photo website. You can read my travel story on the Celebrity Cafe website. 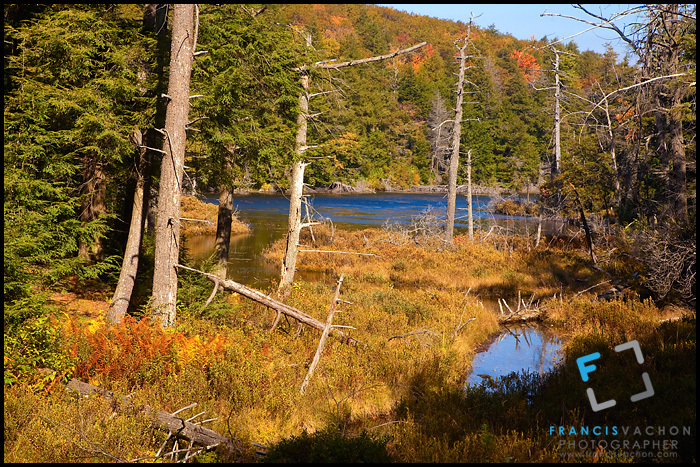 At the beginning of October, I was in Berkshire County (Commonly known as The Berkshires) in Massachusetts for a story that was published earlier: The Berkshires: It’s all about meandering. 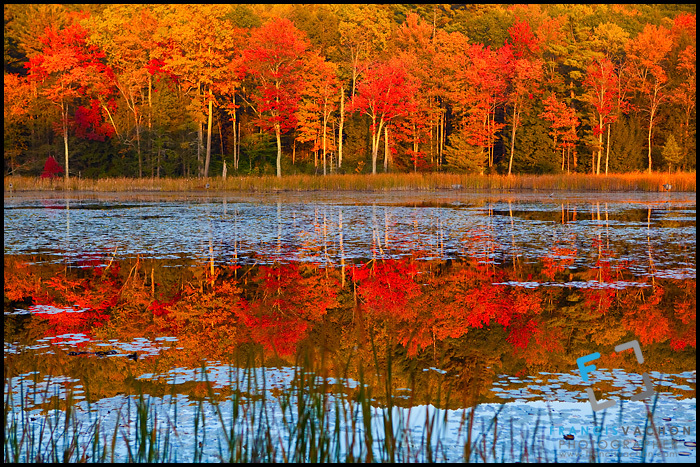 Fall colors are reflected in a small lake in Fountain Pond Park near Great Barrington in Berkshire county, Massachusetts. 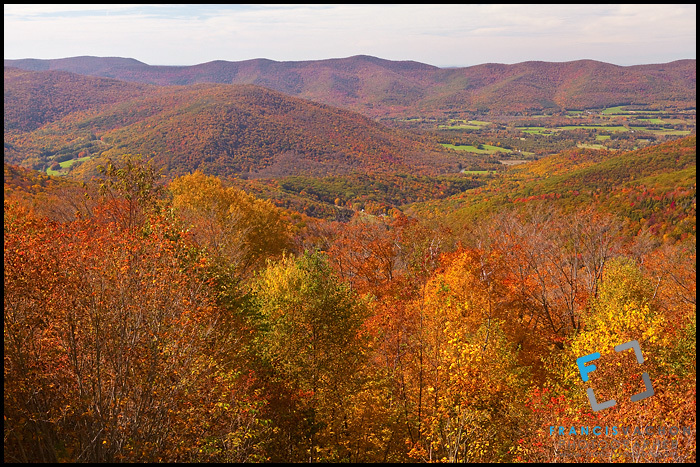 Taconic Mountains are seen from Mount Greylock in Berkshire county, Massachusetts. 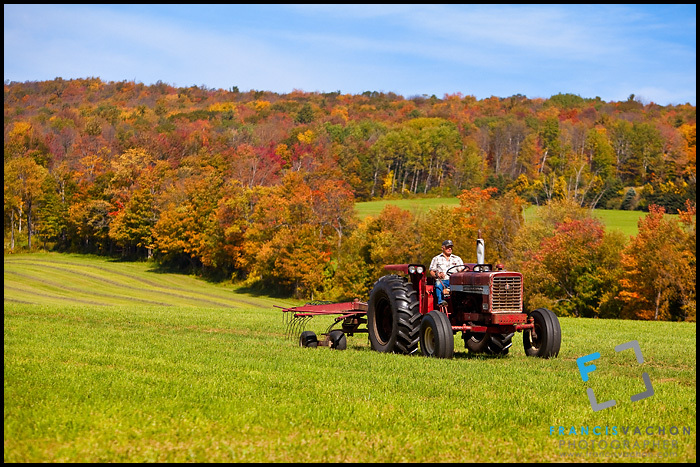 Mount Greylock is the highest natural point in Massachusetts and, although geologically part of the Taconic Mountains, it is commonly associated with the abutting Berkshire Hills to the east. Berkshire county is seen from Mount Greylock summit, Massachusetts. 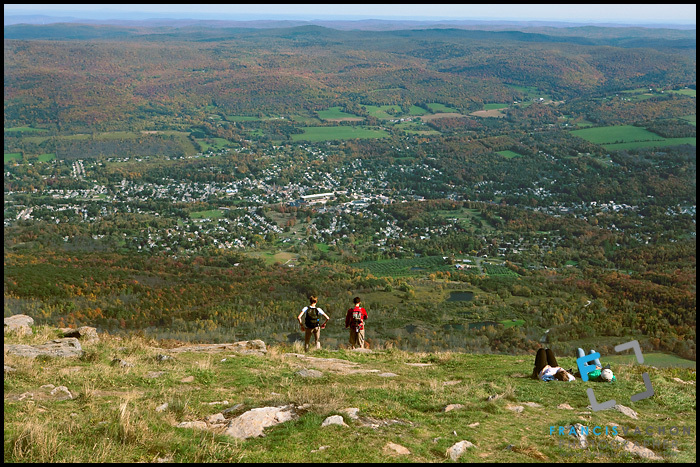 Mount Greylock is the highest natural point in Massachusetts and, although geologically part of the Taconic Mountains, it is commonly associated with the abutting Berkshire Hills to the east. 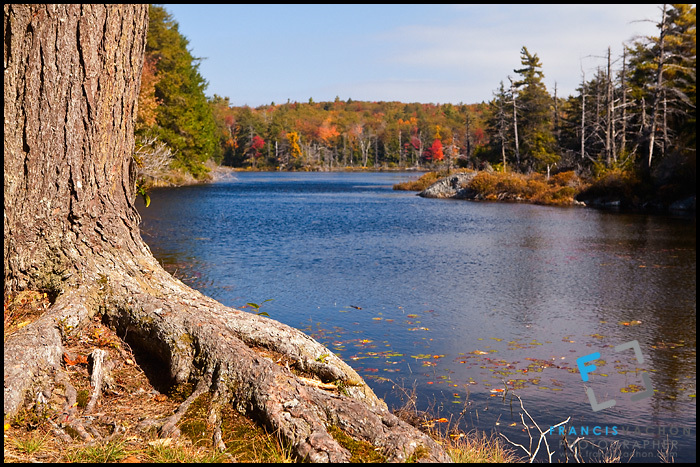 A lake is pictured in front of a colorful fall landscape in Berkshire county' Mount Everett State Reservation, Massachusetts. 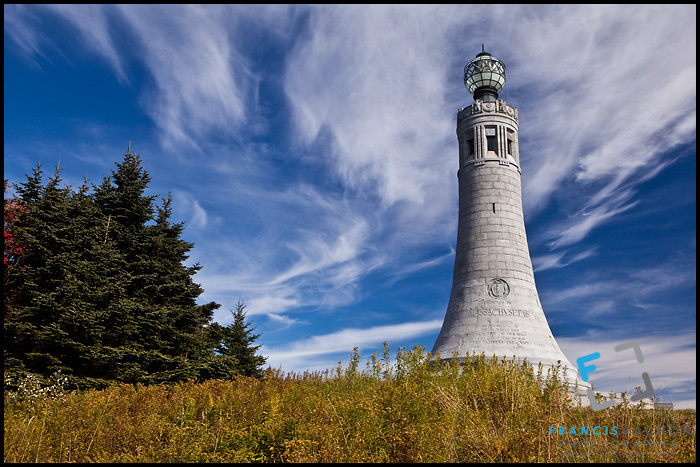 Massachusetts Veterans War Memorial Tower is pictured on Mount Greylock summit in Berkshire county, Massachusetts. 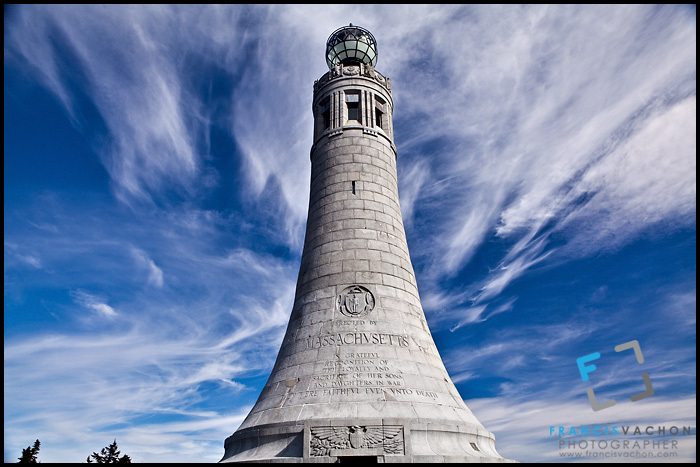 Built in 1931-32, the Veterans War Memorial Tower honors the state's dead from World War I (and subsequent conflicts). 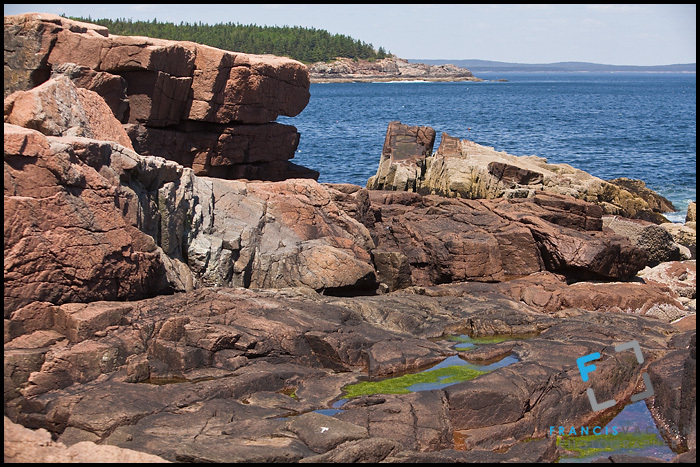 Mount Desert Island, the largest island off the coast of Maine, is best known for the Acadia National Park. 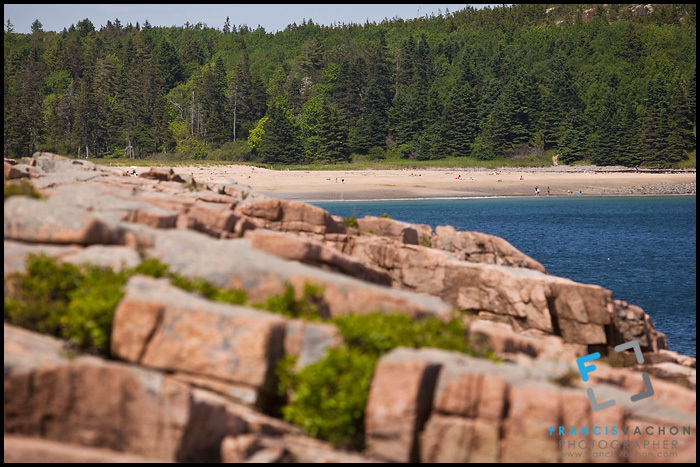 Created as Lafayette National Park in 1919 and renamed Acadia in 1929, the park includes mountains, an ocean shoreline, woodlands, lakes, and even a sandy beach. 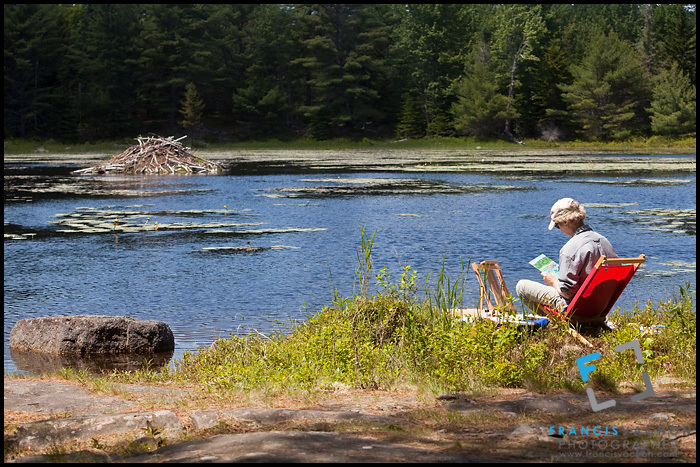 It is a very popular destination for outdoors activities and camping with two and a half million tourists a year. 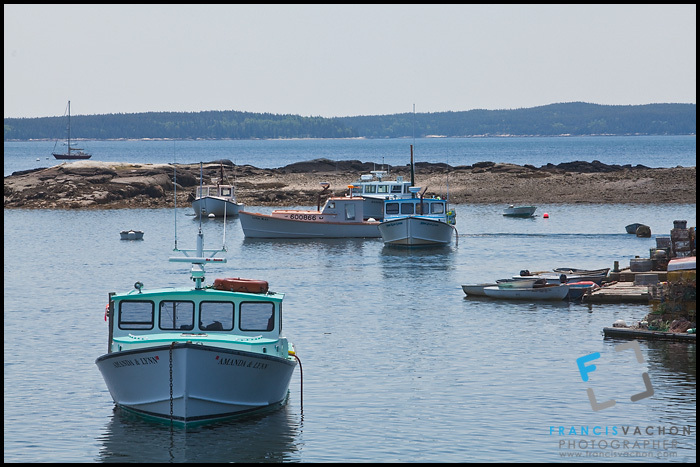 On the Western side of the island, off the park, the town of Tremont includes the villages of Bass Harbor (or McKinley), Bernard, Gotts Island, Seal Cove and West Tremont, where fishing, especially lobster fishing, is an important part of the daily life. 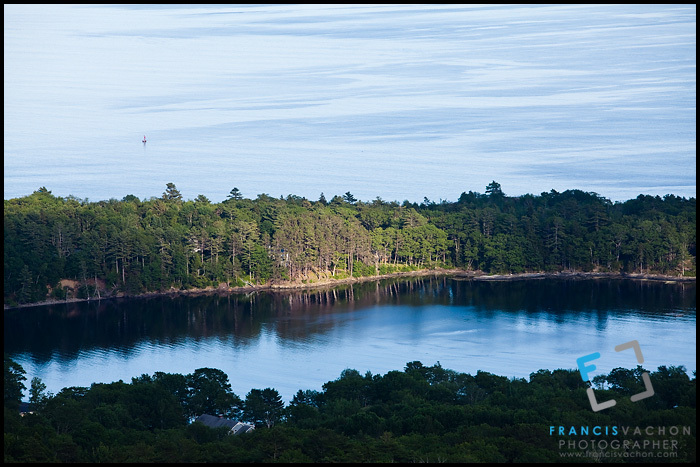 You can find more photos of Acadia National Park and Mount Desert Island on my stock photos website. 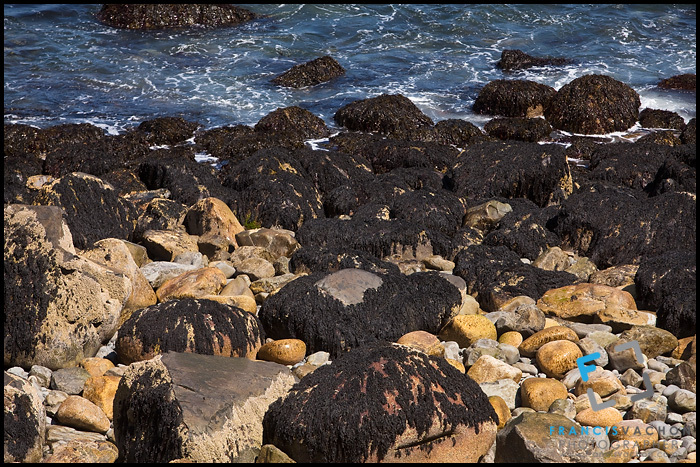 The rocky shore of Acadia National Park is pictured on Mount Desert Island in Maine Wednesday June 19, 2013. 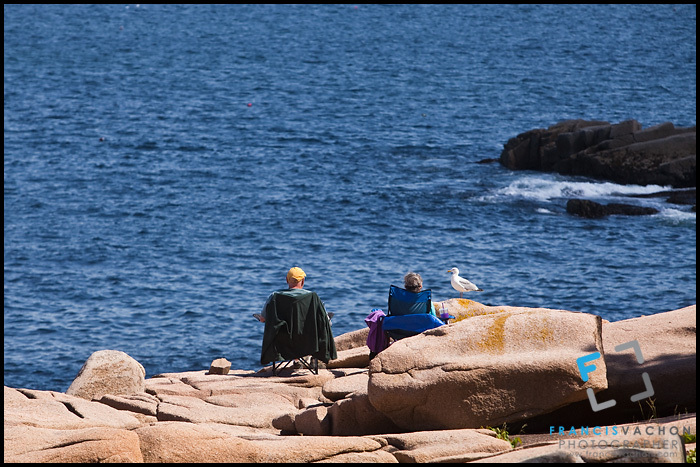 A man and a woman look at the ocean as they sit by a seagull on the rocky shore of Acadia National Park on Mount Desert Island in Maine. Two women sit by a fish ladder in Somesville on Mount Desert Island in Maine Wednesday June 19, 2013. A fish ladder, also known as a fishway, fish pass or fish steps, is a structure to facilitate diadromous fishes' natural migration. 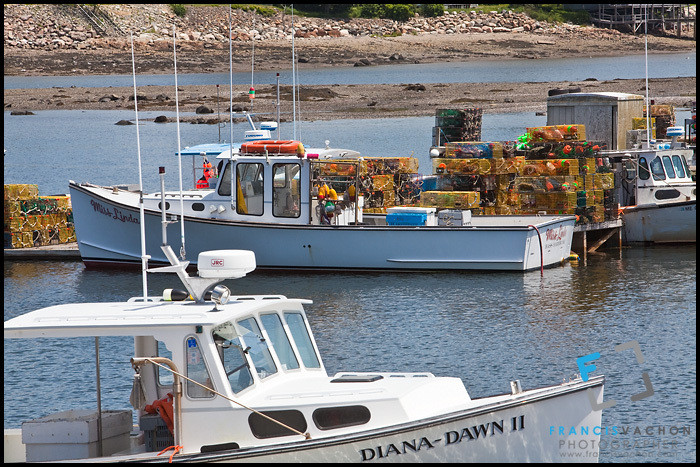 Fishing vessels are pictured in the harbor of Tremont, Maine Wednesday June 19, 2013. 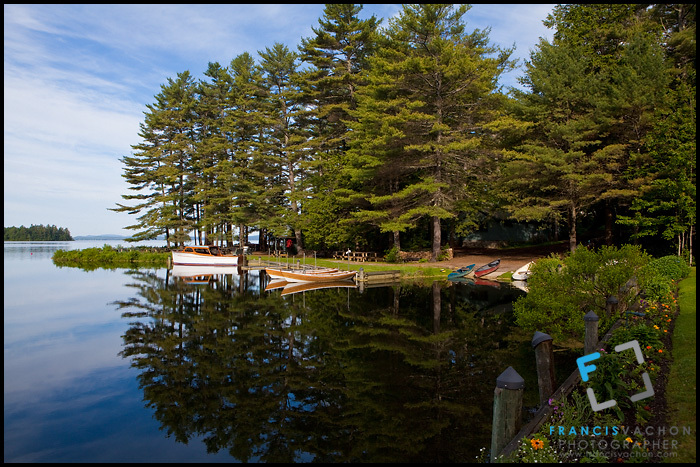 Located on Mount Desert Island, Tremont primary industry is fishing, mainly lobster. 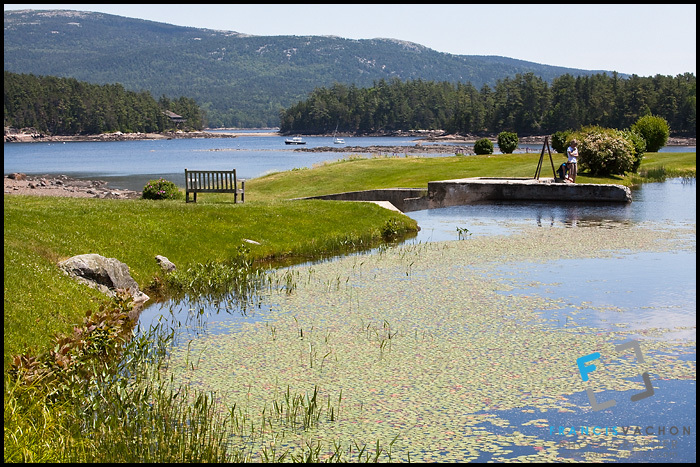 Squeezed between Mount Batties and the Atlantic ocean, Camden is a cute little town on the coast of Maine. 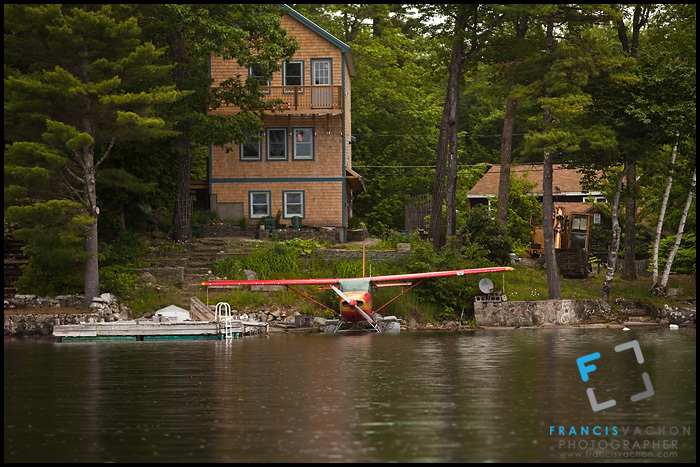 More photos of Camden, Maine, on my stock photos website. 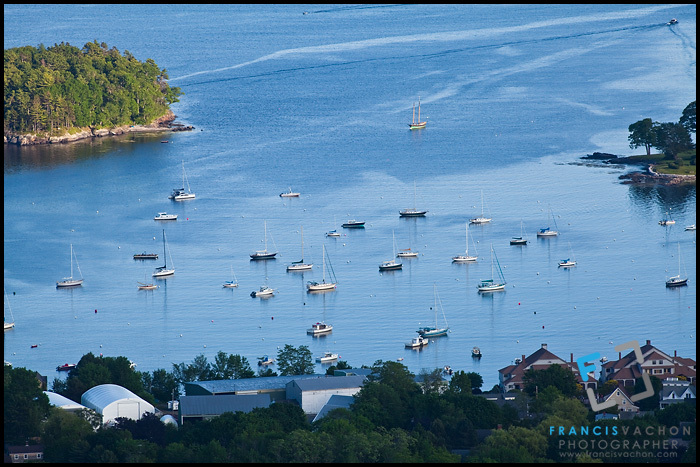 Sail boats lie in the harbor as the sun sets on Camden, Maine Wednesday June 19, 2013. 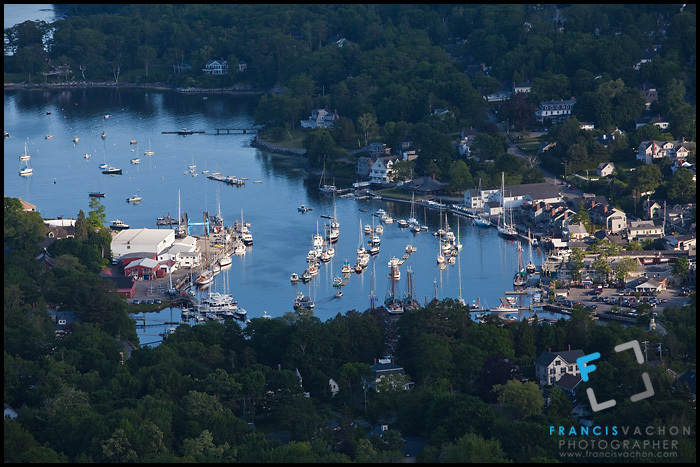 Sun sets on Sherman Cove in Camden, Maine Wednesday June 19, 2013. 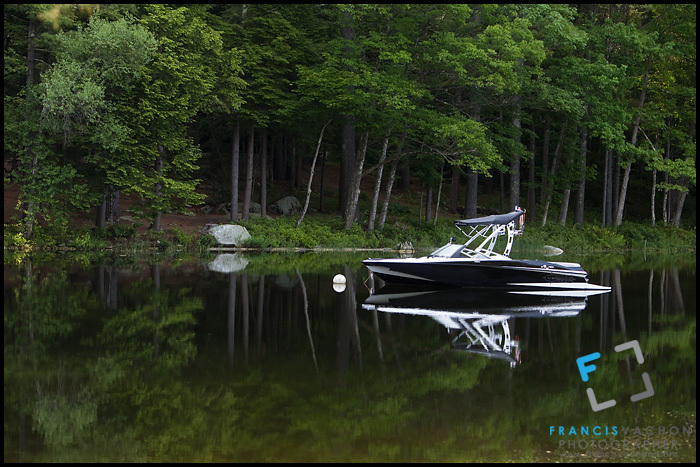 I discovered Sebago Lake during my trip in Maine for my story 3 places to unwind and recharge your batteries in Maine. 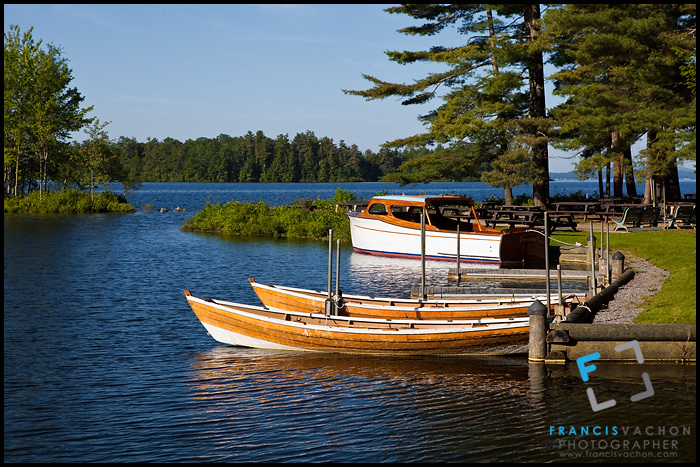 The lake is huge, the second largest in Maine, peaceful, with a lot of boating activities. 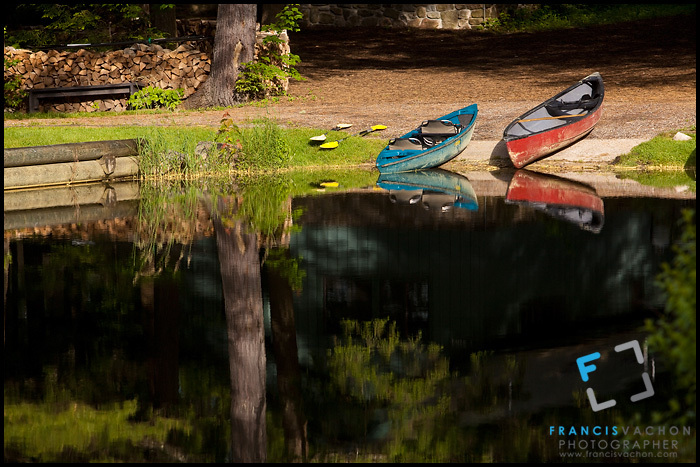 More photos of Sebago Lake and boating on my stock photos gallery. 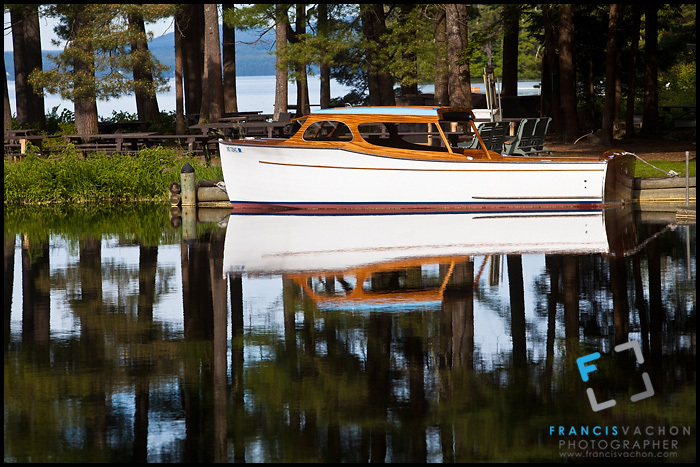 Wooden boats are moored on Sebago Lake in South Casco, Maine Monday June 17, 2013. 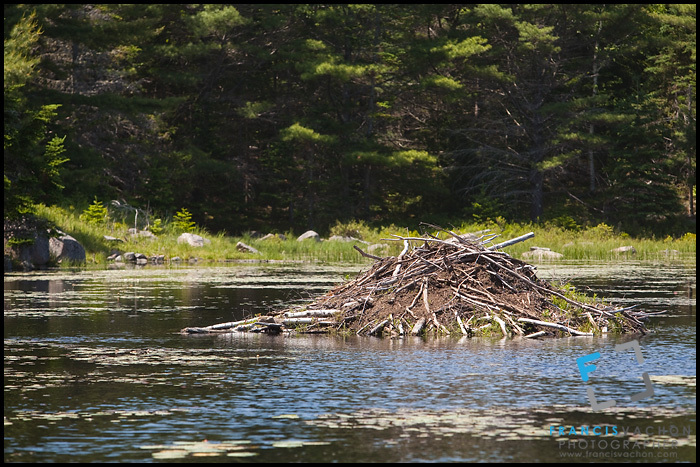 Sebago Lake is the deepest and second largest lake in the U.S. state of Maine.